Hi there! I really LOVE this app its so addictive and fun the mini games are super fun love them and i just found out how to friend people and hangout with them!! 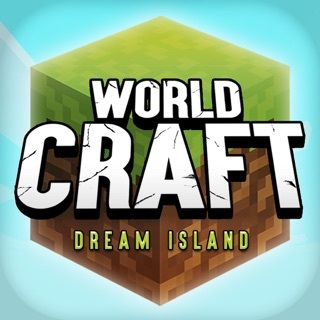 I just made my friend download it so she could play with me so yeah! And i also love that u can unlock things by either waiting till u reach that level or with 1999 coins. And here’s my question. Why on some platforms (such as IOS/Apple,Android Tablets) it cost money Because i have an iPad and it was free, the friend i was talking about has a Samsung 4 (I think) and my other friend has an iPhone 6 and ears cost 1.99?! What sense?! Now she cant play with me unless she pays witch i know I wouldent do i would not pay for an app that’s free in other devices. So yeah overall great app it would have been 5 stars if it was free on all platforms so yeah. Thank You for taking the time to read this. This game is great! And for anyone who saids this is a ripoff of My Boo, do your research. I remember when the car game where you just keep going forward came out (forgot what's it's called) a few years ago. And, last year, My Boo copied the exact same idea! Well that doesn't mean it's first, you may be thinking. And you're right. 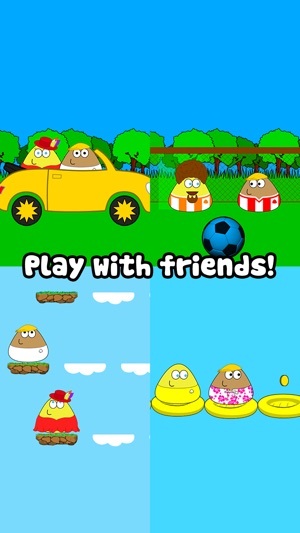 But if you look it up, pou came out august 5th, 2012, and my boo came out in 2015. So there. Do you're research. I used to play this game a lot but then I just... forgot about it. I was scrolling through my purchased apps and decided: "hey? Why not?" And it's still better than my boo. 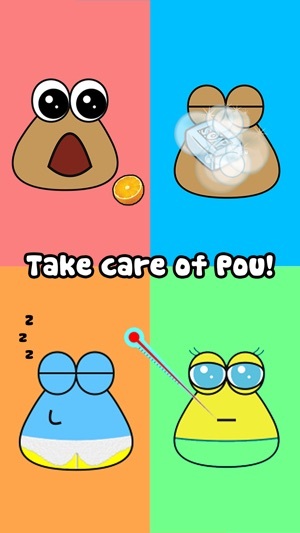 Pou is a game where you have a small creature, your Pou, and you dress them up and take care of them, Tamagotchi style. I love this game so so much! 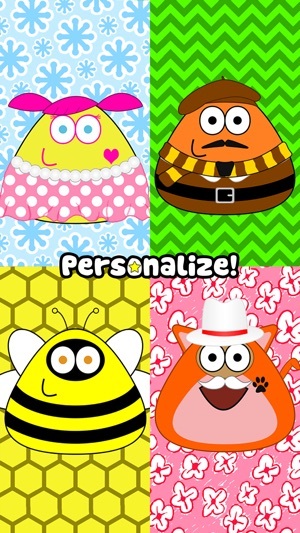 I got it a few years ago on another phone and I loved my Pou so much, but I switched phones and Pou didn't make the switch. I sort of forgot about her, what with the app costing money and all, until a few weeks ago when I checked the App Store to find it was once again free! I immediately downloaded it. 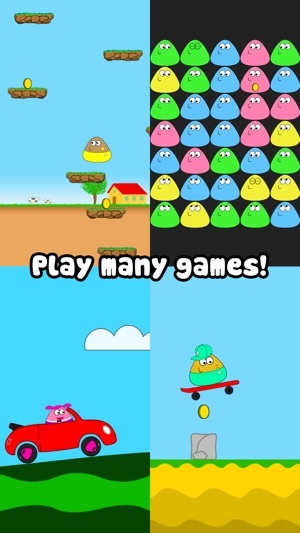 And luckily, this app lets you sign in and save your Pou, so I had my Pou back! I had missed her so much. There are so many things to do in this game and it's an overall super fun, super cute time killer. 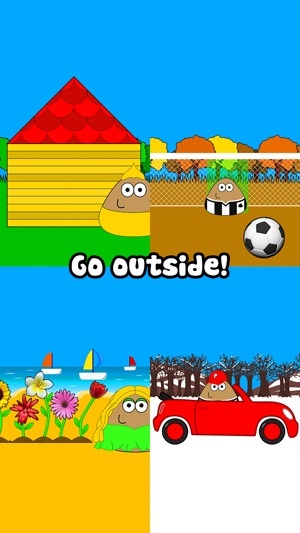 Now go out there and get your Pou!